Biology Department extends its heartiest congratulations to our Biology Senior, Omar Gonzalez on his acceptance to Immunobiology PhD program at Yale University. Omar has also been awarded the most prestigious Gruber Fellowship, the top honor a PhD student can receive at Yale University. Omar is also the recipient of OUR grant and a McNairs Fellow under the mentorship of Dr. Ashwini Kucknoor. 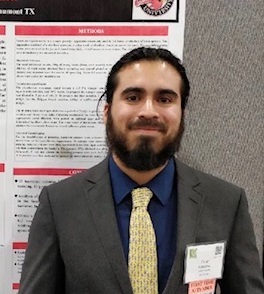 In addition, Omar has presented his undergraduate research at the SACNAS national meeting for which he had received a travel fellowship. Omar was one of the campus finalist for Goldwater scholarship. We wish him the best for his future endeavors. 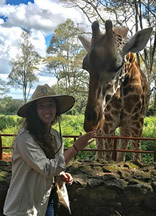 Biology is particularly proud of one our undergraduate students, Emily McCall, who received a Presidential Summer Fellowship and did research in Kenya this summer. Emily, as a member of Dr. Eric S. Loker’s (University of New Mexico) research team, sampled parasites that cause schistosomiasis (also known as bilharzia), a disease that affects more than 200 million people worldwide. Emily’s work was made possible through the efforts of biology faculty member Dr. Randall Yoder, who through his professional and personal relationship with Dr. Loker, made Emily’s research possible. 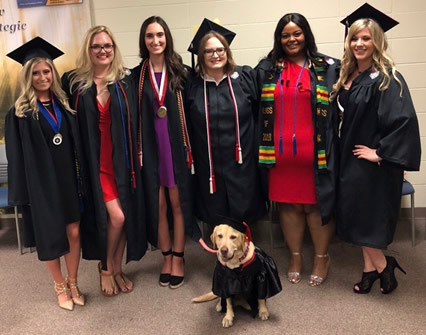 "My thanks to Lamar University, the Presidential Summer Fellowship, the Biology Department, and my wonderful project mentor, Dr. H. Randall Yoder. I am thankful for their help in allowing me the chance to travel and help perform Schistosomiasis research along Lake Victoria's coast in Kenya. Not only did this trip allow me to expand my knowledge of both laboratory techniques and field work, it also allowed me the opportunity to meet and learn from some amazing people, such as the wonderful research crew from the University of New Mexico. This was headed by renowned parasitologist Dr. Eric S. Loker, with whom I traveled and helped perform research with, and their great colleagues from the Kenyan Medical Research Institute, who were essential to our success”.